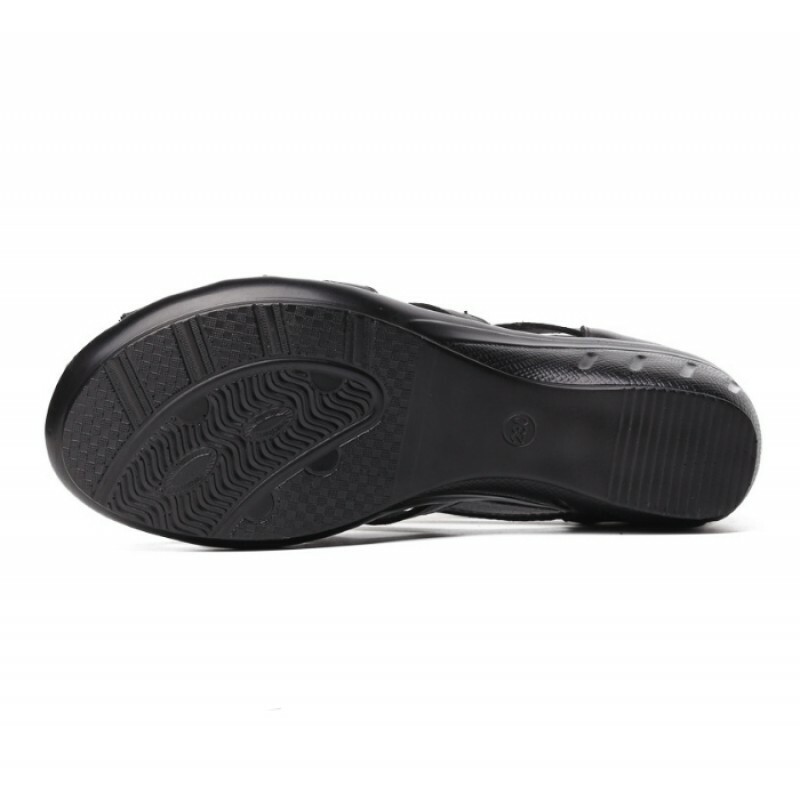 This unique design with thick bottom BLACK leather SHOES with strips on foot upper side and zip at backside. It’s a party shoes and sole made PU. Its closing is zip for easiness. 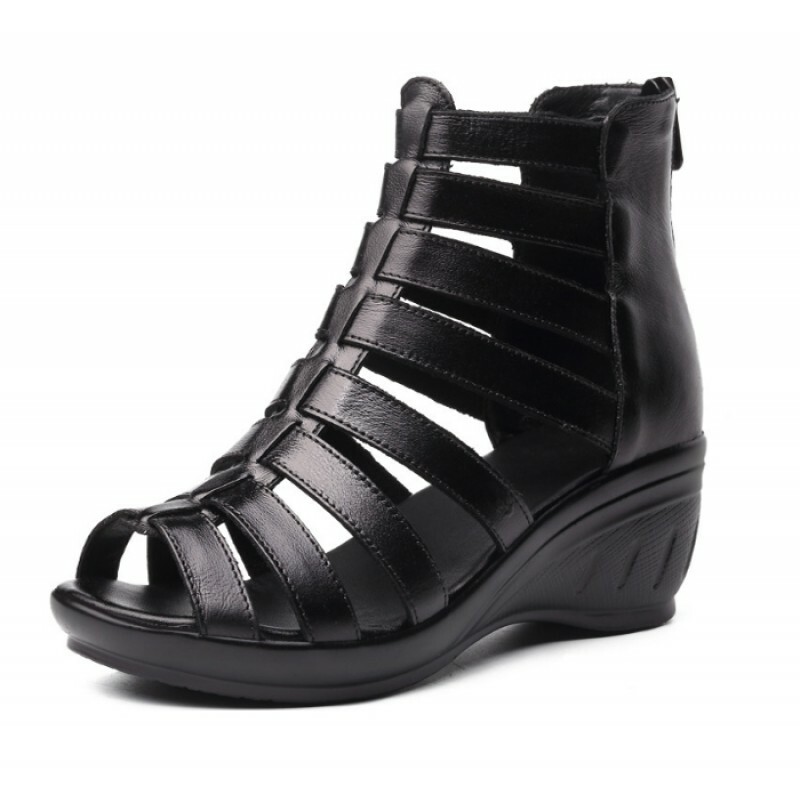 Our most selling wedge sandals BLACK upper with a GOLDEN colored zip on it and a schemed wedge rubbe..